Windows Server 2016 is available for evaluation and will be on the October price list. Volume licensing customers will be able to download fully licensed software at General Availability in mid-October. Windows Server 2016 also comes with the built-in support of containers and commercial version of Docker engine without additional charge! 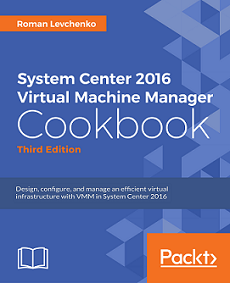 System Center 2016 Evaluation is here . What’s new in System Center 2016? TIP: I’d not recommend to use evaluation version in production. Wait while fully licensed media becomes available. In fact, Azure Stack TP2 announcement was described earlier in this blog post (TP2 rolled out for some “vip” customers). At Ignite MS confirmed GA for Azure Stack TP2. Reliability – Azure DNS has the scale and redundancy built-in to ensure high availability for your domains—and is backed by our 99.99% uptime SLA. As a global service, Azure DNS is resilient to multiple Azure region failures and network partitioning for both its control plane and DNS serving plane. Performance – Our global network of name servers uses ‘anycast’ networking to ensure your DNS queries are always routed to the closest server for the fastest possible response. Ease of use – Your DNS zones and records in Azure DNS can easily be managed via the Azure Portal, Azure PowerShell, or cross-platform Azure CLI. Application integration is supported via our SDK or REST API. Security – Azure DNS benefits from the same authentication and authorization features as other Azure services, including the ability to configure multi-factor authentication and role-based access controls. Convenience – Hosting your DNS in Azure enables you to manage your Azure applications and their DNS records in one place, using a single set of credentials, with a single bill and with end-to-end support. IPv6 support – With the explosive growth of devices powered by Internet of Things (IoT), compliance regulations and the need for future proofing applications, the need for IPv6 has become more real than ever before. Today, we’re introducing support for IPv6 for applications within virtual machines on Azure. Accelerated Networking – As applications demand faster performance than ever before, we are previewing the ability for VMs to tap into incredible network performance (up to 25 Gbps). Powered by FPGAs, the network throughput and low latency offered by this capability is unparalleled in the public cloud today. Web Application Firewall (WAF) – With the addition of WAF capabilities to the Application Gateway service, we’re significantly enhancing your ability to manage application security. New Virtual Network capabilities like peering, active-active VPN gateways and a new ultra-performance gateway for ExpressRoute, all significantly improve the way in which you define network topologies and connect different network environments in powerful ways. Microsoft is spending billions per year to drive security improvements. Security graph has been built to provide a platform to protect all critical data across the cloud and mobile world. For instance, about 200 billion emails are analyzing by MC cloud services per month and it makes MS the largest anti-spam/malware system in the world.